Super simple sandwich that I made just to play around with the new egg rings I received. Plus this is the first video on my new to me Weber Genesis Silver that I picked up on craigslist for 40$. I love the new grill...not sure how old this Weber is but it is a solid grill and will be used as my outdoor griddle. Let me start by saying these sandwiches completely rocked. I will be making many more versions of these. Even with very little maple syrup the flavor really comes through in the pancakes. The pancakes are so light and fluffy. 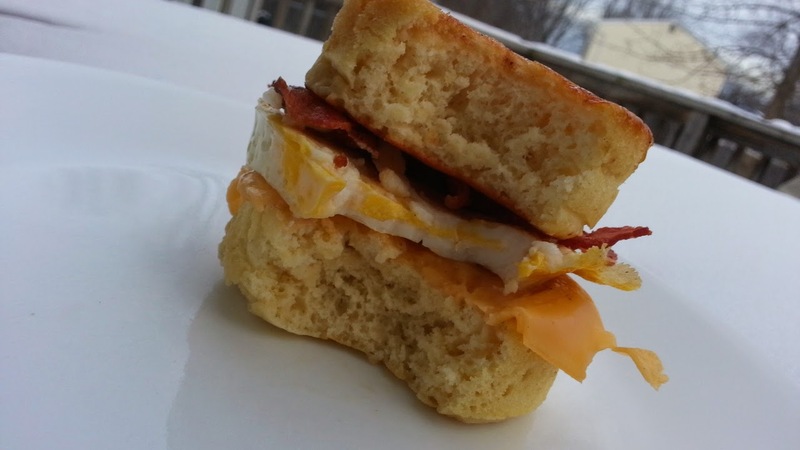 They make a perfect bun for a breakfast sandwich. 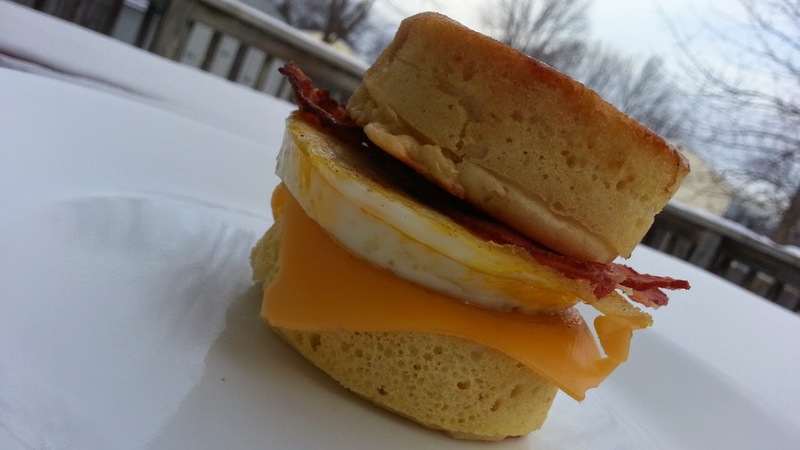 This sandwich I guess is kind of like a McGriddle....even though I have never had one I really cant speak to that. I really hope you give this recipe a try! To start off make your favorite pancake batter and preheat your griddle to a medium heat. You do not want the griddle to hot as these pancake buns are thick and you want them to cook through. Unless, you like gooey pancakes....but that is just not my thing. Cook 1 strip of bacon per sandwich. After the the bacon is cooked, wipe down the bacon grease and spray some cooking spray on some egg rings. Place the egg rings on the griddle and let them heat up a little. Fill the egg rings about 1/4 of the way up with batter and then drizzle in some maple syrup. Top with more batter and cook for a few minutes. Use a butter knife to loosen the pancakes from the egg rings, if necessary. As you can see in the video one did not stick at all. 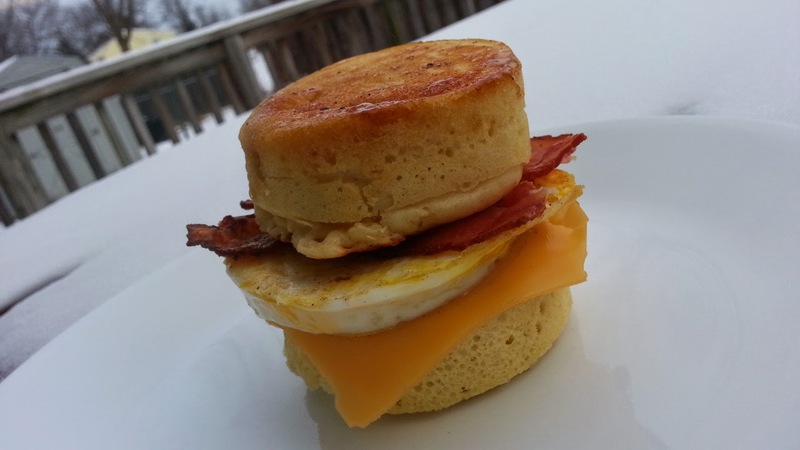 Flip the 'buns' and add another egg ring to the griddle to heat up for the egg. When the pancakes are done, add 1 egg to the egg ring and break the yolk. add about half a cup of water and close the grill to steam the egg (you could also use something to cover the egg if you are not cooking on a gas grill). If done right the top of the egg will be partially cooked and its now time to flip and finish cooking the egg. After you flip the egg place 1 piece of cheese on the top to melt a little. Assemble the sandwich as shown in the pictures. 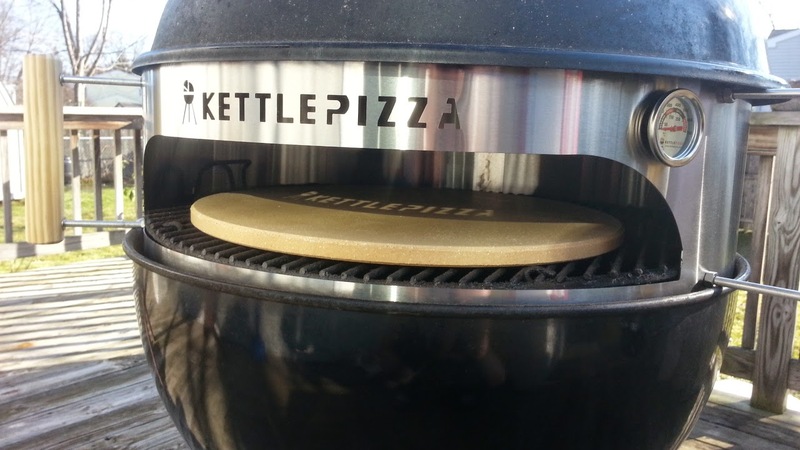 Here is a quick video on how to use the Kettlepizza. I cooked 2 pepperoni pizzas and 2 smoked sausage and diced peppers pizzas in 20 minutes total time. I did not reload charcoal or hardwood during this cook. 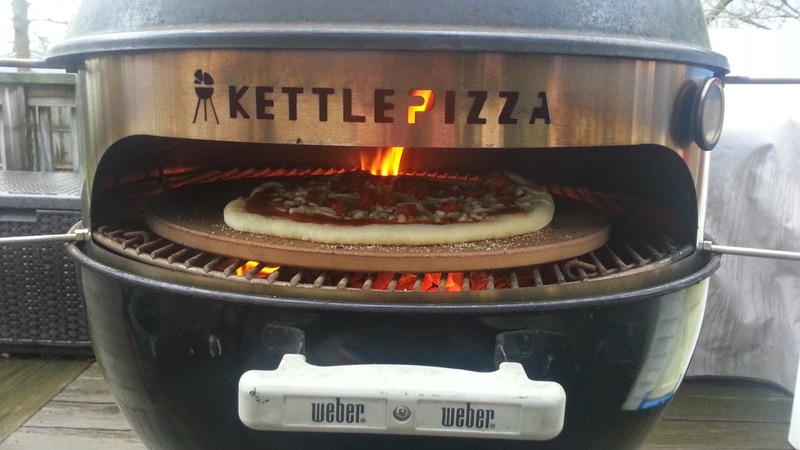 This is an excellent way to cook pizzas on the grill. I fired up one mostly full chimney of Kingsford Blue, when ready dumped in a horseshoe banked around the back of the kettle. 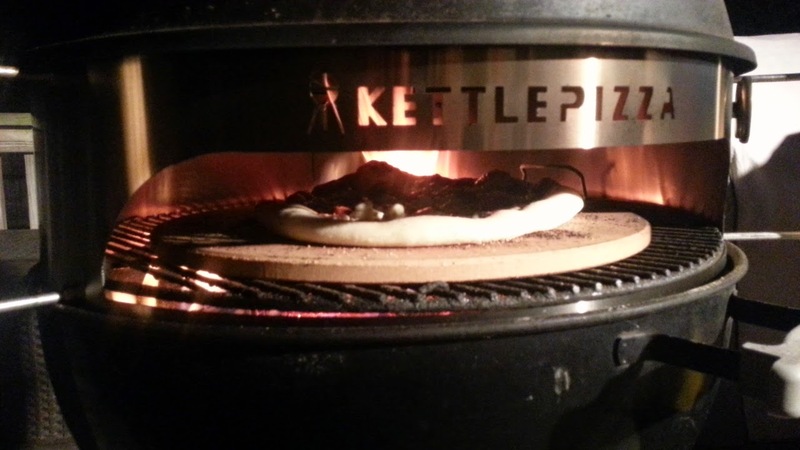 I added 2 applewood logs and put the kettlePizza attachment in place. 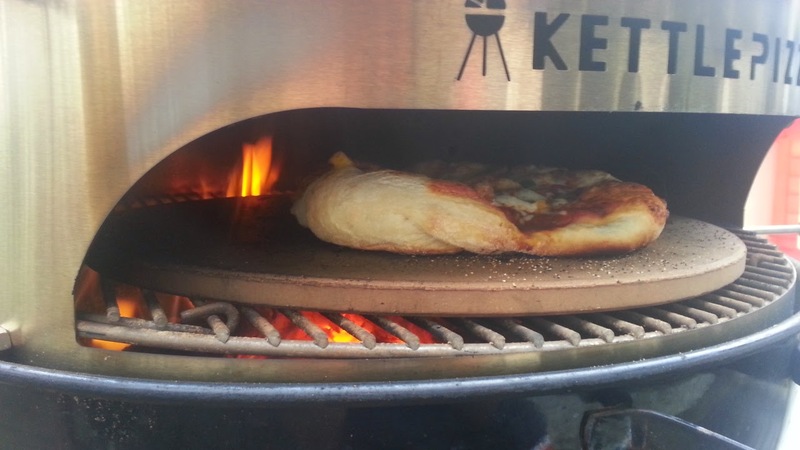 I check on it 20 minutes later and it was perfect pizza temp. 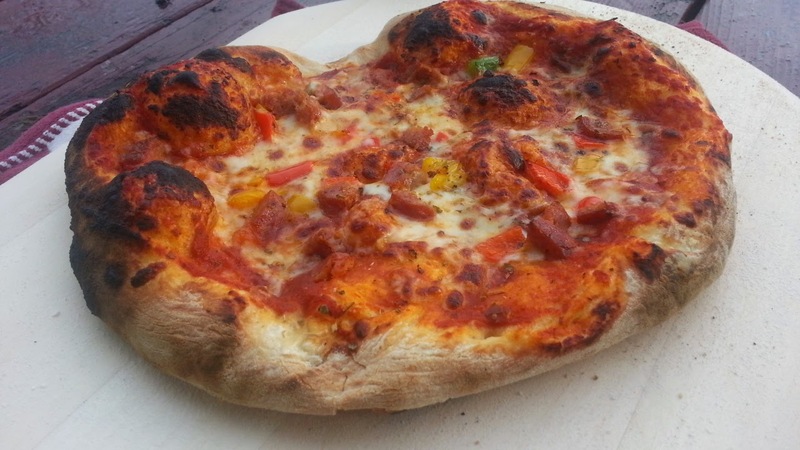 First pizza (sausage and peppers) went on at about 650 degrees and came out 3.5 minutes later at about 700+. Second pizza went on at 700+ and was in that range for the whole pie...I probably took it off in 3 minutes. These went really fast and I forgot to take notes. 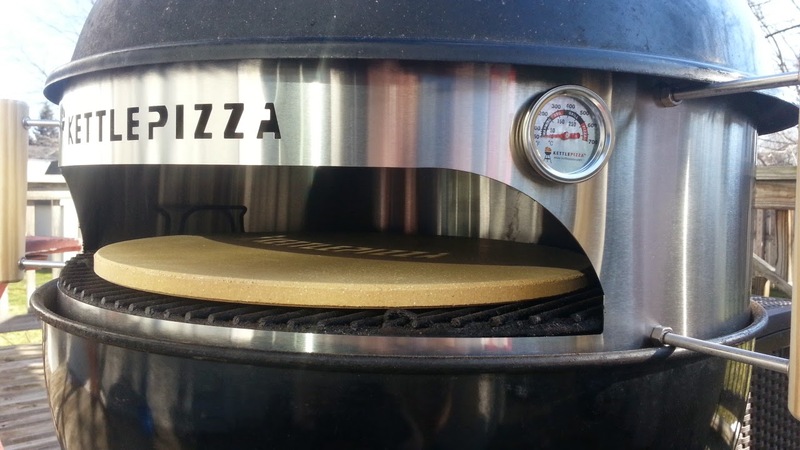 The third pizza went on just under 700...I probably could have added one more piece of wood to spike the temp but really wanted to know how many pizzas I could cook on 1 load of charcoal and 2 pieces of wood. I am guessing if I had all the dough rolled out and ready I could have gotten 5 pizzas done with the amount of fuel I used. The fourth pizza went on just under 600 and cooked in about 4-5 minutes. All of the pizzas were excellent. It really helps to have everything prepped ahead of time and 2 pizza peels is a must. I would like to have an aluminum one as well. Check out the video of this cook and enjoy! 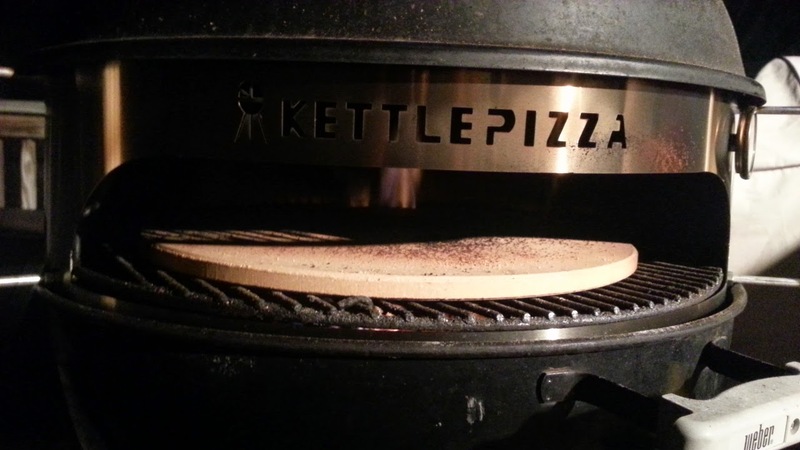 Here is a quick guide to installing the KettlePizza for the first time. 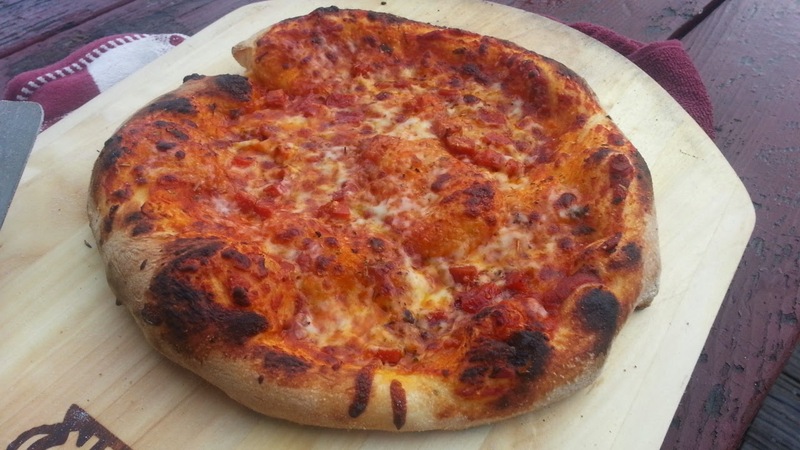 When I shot this video I was very disappointed that all the pizza dough I had was frozen solid. I managed to get some dough out and defrosted it for a night cook. I cooked 3 or 4 pizzas....I cannot really remember exactly. I threw the first one in when the thermometer said 550 (I was kind of anxious) - it took about five-six minutes to cook. Next one went in at 650 - this was was about four and a half minutes. The last 2 the thermometer read well over 700 and took in the 3.5 minute range...gotta watch it closely for the first few cooks before you get a handle on how fast they cook. 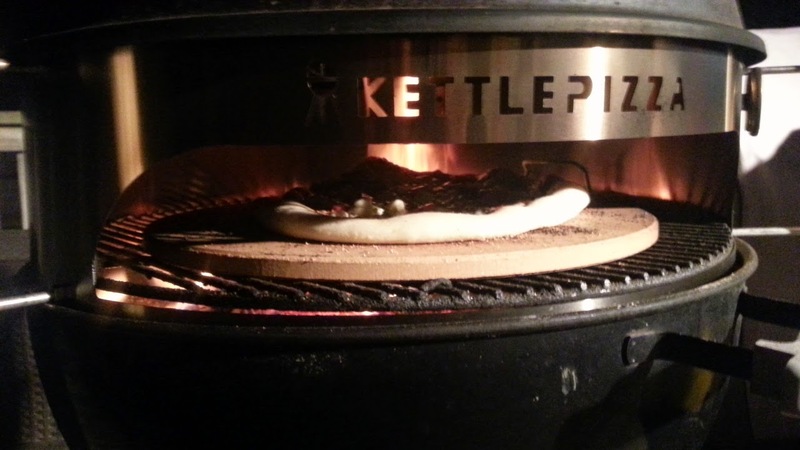 I cannot wait to cook Napoletana and Margherita pizzas on the Kettlepizza! I plan on doing them and a video as soon as the weather isn't so bitter. 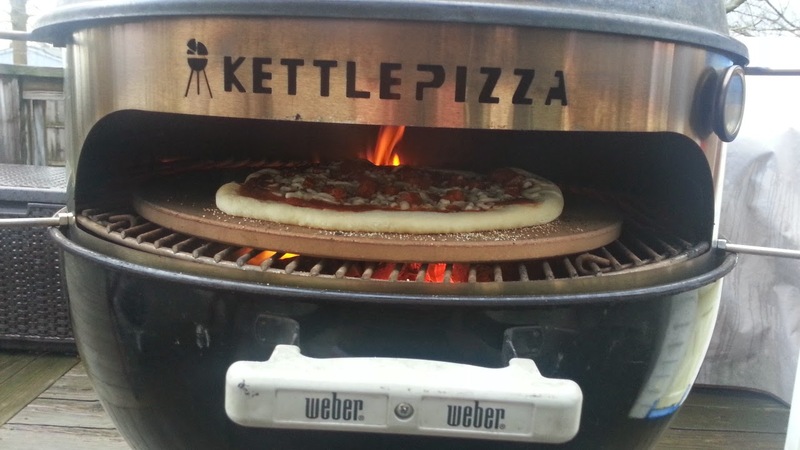 My next video is 4 pizzas on the Kettlepizza in 20 minutes.